Hard fighting fatties like this are waiting for you! 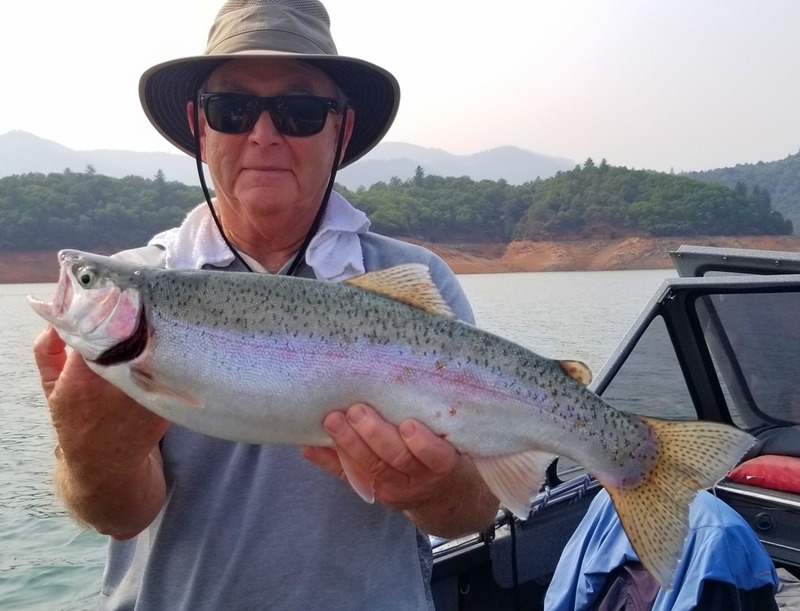 8/21/18 - My client Jim could barely finish asking the question, "Do these fish jump coming up from 90 feet? Then rocketing out of the water Mr Piggy Trout comes, shaking his head and freeing himself of the Yakima bait company 3.0 Maglip covered in Pro-Cure Carpspit. I then answered yes Jim they do, haha. Jim went on to land 7 out of 12 of these fat hard fighting trout, yesterday, fantastic day. 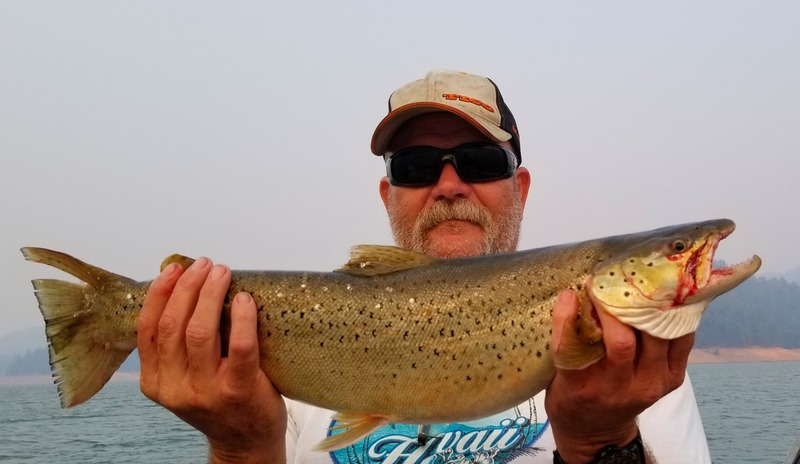 Massive bait balls of Shad have been all over the lake and these eating machine Trout have been filling up on them all summer. Over the last week I have been fishing deeper 80 to 120 feet and trolling a larger area of water with consistent success. Changing bait offerings more frequently has also been helpful in keeping the fish interested. Bait (night crawlers soaked in Pro-cure bloody garlic tuna), plugs (Maglips and Yo Zuri pins minnows), spoons (PenTac and Optimizers) , Seps Dodgers and spoons have all produced fish. The smoke was not to bad yesterday and the cool breeze later in day made for comfortable fishing. Cone in out the traffic is pretty light now that school is back in. These fish are at there tastiest.